Historically, the Lamb was sacrificed to cover over sins in both the Passover story and on the Day of Atonement. John the Baptist recognized that Jesus would fulfill these ancient prophecies. 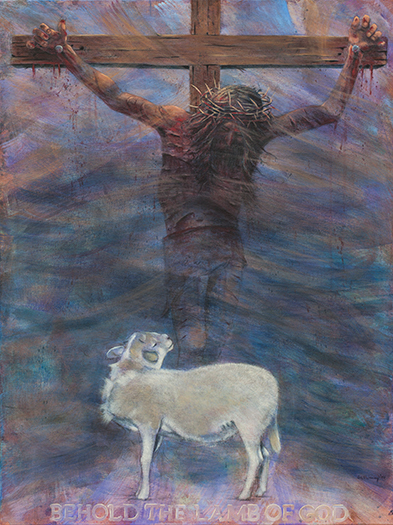 I wanted to create an image that combined the idea of a lamb and that of the suffering Savior on the cross. We can see Him as the Lamb (without spot), as the Lamb of God and as a lamb being led to the slaughter in the deep spiritual battle that occurred on that Passover. It is my desire that we all will recognize Him as the Lamb of God. This entry was posted in Christian. Bookmark the permalink. My sins are washed away!